On Sunday, a special committee of the board of directors of Papa John’s met to discuss the future of founder John Schnatter with the pizza chain. 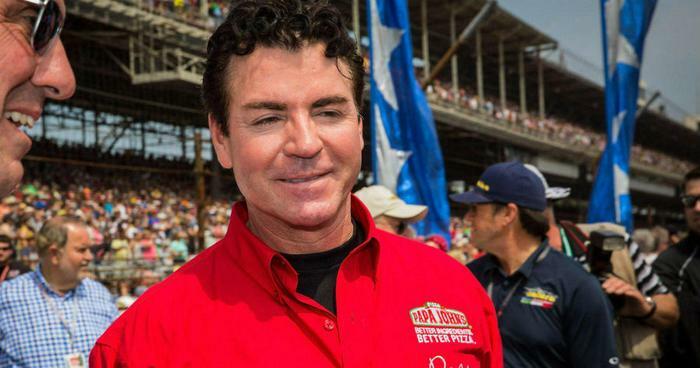 The group ultimately decided to remove Schnatter from his position at Papa John’s headquarters in Louisville, Kentucky. The company is also in the process of removing Schnatter from all marketing materials. Additionally, Papa John’s will hire an outside investigator to look into current company policies regarding diversity. “The special committee also intends to oversee the external audit and investigation which the company previously announced that it will conduct of all the company’s existing processes, policies, and systems related to diversity and inclusion, supplier and vendor engagement and Papa John’s culture,” the company wrote. Schnatter will remain on the board, and still owns 30 percent of the company’s shares. Schnatter first came under fire last week when Forbes reported the founder and public face of Papa John’s used the N-word in a conference call in May. Schnatter confirmed the incident, and promptly resigned from his position. The call was between Papa John’s and the company’s marketing agency Laundry Service, and was supposed to be a role-playing exercise for Schnatter to prevent any future public relations incidents. Schnatter drew attention to his company when he got involved in the debate over football players kneeling during the national anthem, in which he called out the NFL for lower than normal sales at Papa John’s. Schnatter was asked how he would distance himself from racist groups online, and in effort to distance himself from his NFL comments, said: “Colonel Sanders called blacks n------s.” He also remarked that Sanders never faced public backlash for his comments. The comment led Schnatter to discuss his upbringing in Indiana, and was intended to express his antipathy towards racism. However, many people on the call found it to be offensive. Laundry Service owner Casey Wasserman decided to terminate his company’s agreement with Papa John’s following the call. Schnatter admitted that his comments were true, and publicly apologized. Within hours, shares of Papa John’s dropped 11 percent, with Schnatter losing $70 million. The company’s stock has dropped 29 percent since Schnatter’s comments in November, and shares fell five percent following the incident last week.